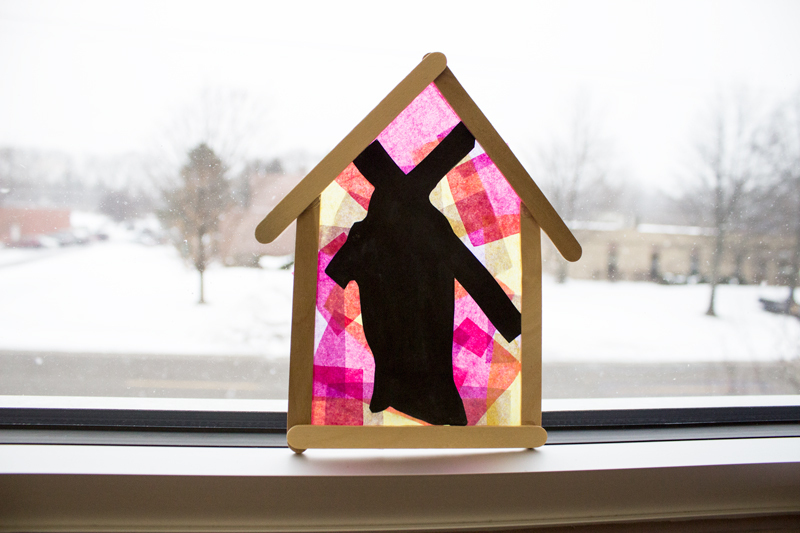 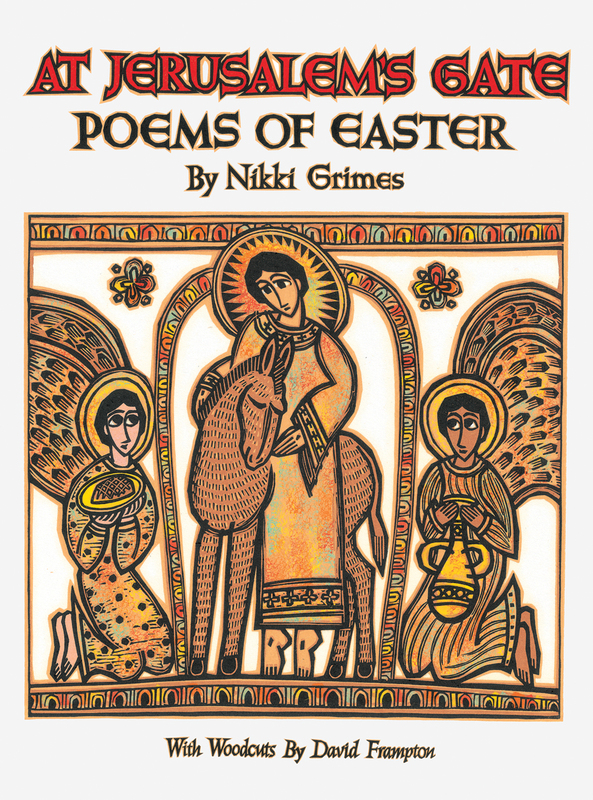 Remember and honor the passion of the Christ with this dramatic ornament. 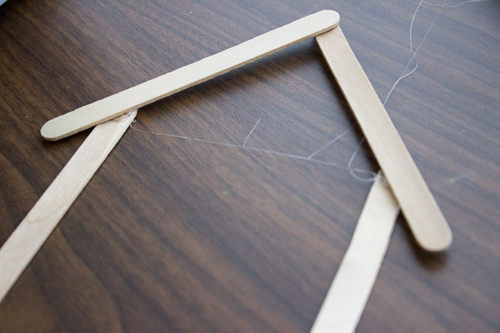 Step 1: Using Popsicle sticks and hot glue, make the shape of a house as pictured. 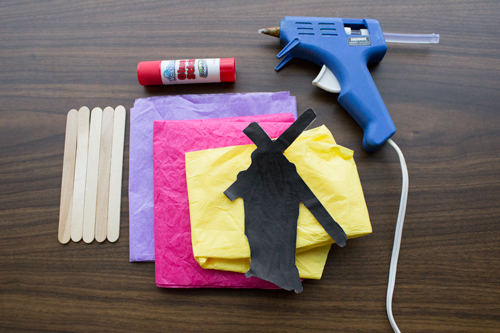 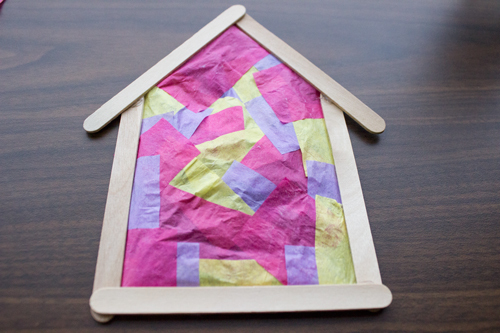 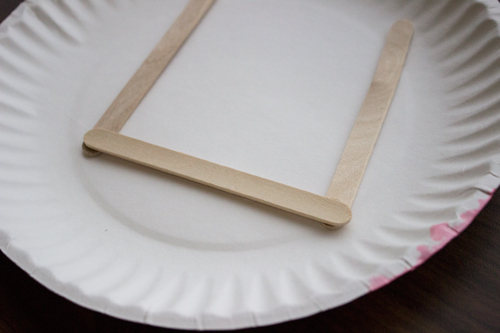 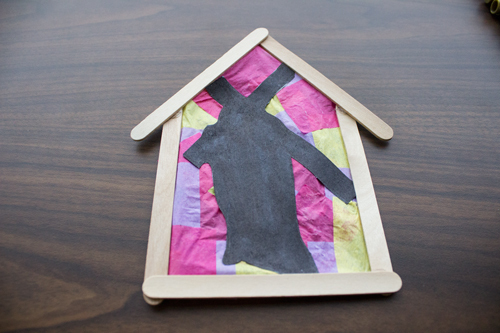 Step 2: Attach pieces of colored tissue paper with the glue stick to the frame of the house. 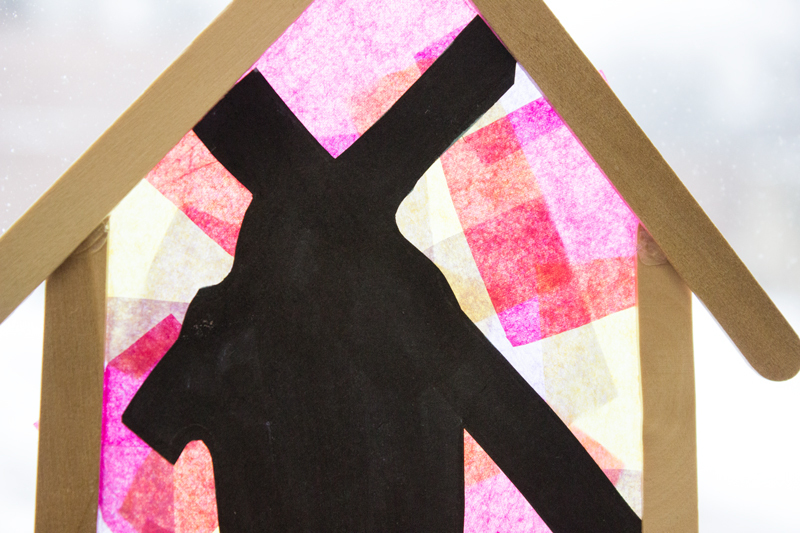 Step 3: Print and cut out the “heavy cross” template. 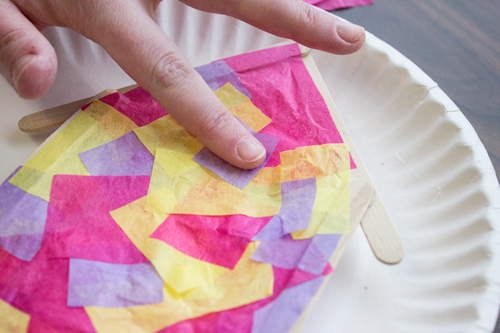 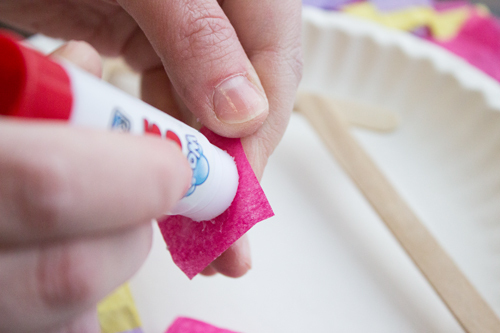 Step 4: Carefully attach the template to the tissue paper background using the glue stick.